Concerned layer says management told him to "look into playing in the suburbs"
A hockey player at the Chicago Blackhawks’ practice facility where three other hockey players were victims of an armed robbery said he was “shocked” when the facility’s general manager responded to his safety concerns by telling him to “look into playing in the suburbs." The robbery happened at about 8 p.m. in the garage of Johnny's Ice House in the 2500 block of West Madison. Police say three men -- two with guns -- approached the hockey players, struck one with a gun and demanded their belongings. The victims handed over their wallets and keys. "As far as your concerns with safety it is the city of Chicago and these things happen all over the place. It is unfortunate but true. If you or your friends are questioning your association with the league due to safety concerns then I would suggest that perhaps the city is not for you and you should look into playing in the suburbs." "When I read it, I was a little shocked by the response," O'Shea said. "I think the biggest concern should be for the safety of those that play there. It's not just the men's league players, it's the youth organizations, like I said, the Blackhawks are there. If this would have happened to the Blackhawks I think the response would have been different." Parents have heard about the incident and are worried as well. "I actually asked at the front desk what precautions they are planning on taking," said Sara Leiebman, whose son plays at the rink. Ray Lilja brings 30-40 kids to the rink from a inner city youth program. "You can't watch every nook and cranny. It's hard. This is sort of a sign for everybody to look out for the other one, which is why I'm walking these guys to their car tonight," Lilja said. 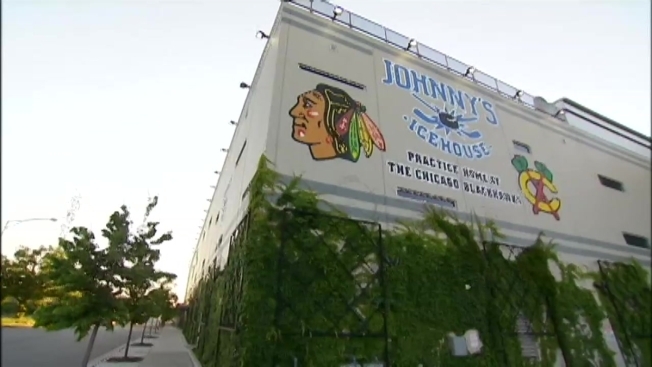 Officials from Johnny's Ice House did not immediately respond to a request for comment. The GM said in the email that they have turned over surveillance video to the police as well.